This is the first in a two-part itelligence blog series detailing how new predictive analytics solutions provide companies in the chemical industry with the ability to achieve top business objectives. We live in exciting technological times! Many industries have witnessed great new capabilities in ERP systems over the past couple of years. Information can be gathered in refined technical structures allowing for better data storage, easier access to information, and optimized ways in which to consume and analyze it. What’s more is that the timing and arrival for these technological innovations could not have been better for the chemical industry. The chemical industry has historically been challenged with dealing with rising commodities prices (particularly the cost of oil), which places significant downward pressures on margins. In some of the micro-verticals within chemicals, upwards of 50% of the total cost of products can be attributed to these commodities costs. The impact of these costs can best be exemplified through the considerable fluctuation of oil over the past 10 years. As oil prices rocketed upward in 2008 to heights well over $120 per barrel, chemical companies had to react to the commodities increase through increasing their sales price and addressing opportunities for efficiency in their operations (to further reduce cost). The challenge in 2008 is that the technology available did not allow for the detailed analysis of data points to really pinpoint what changes to make within the organization. Granted, the obvious responses of increasing prices and improving efficiencies were there, yet it was traditionally very difficult to obtain the information on what specifics to really refine. In a certain sense, you could say that we weren’t as ‘intelligent’ as we are today back then. The data points were there, the ability of detailed analysis was not. The precipitous downfall of crude oil prices from an August 2014 trading range of $98/barrel to settling around $45/barrel (as of September, 2015) has now provided that opportunity witnessed in 2008 all over again, albeit in a different direction. 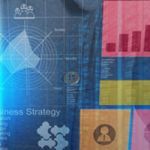 Now that we have new methods of analysis and the capability to react more predictively, organizations embracing these methods should be able to reap the benefit of becoming more competitive, identifying the most profitable areas in which to invest, and establishing new aspects of differentiating their product/service offering. SAP’s analytical tools powered by the HANA database, as well as itelligence proprietary items, can help accomplish the necessary analysis to achieve these desired results. CLICK HERE to read the second part of this blog series that examines how SAP analytical tools provide the solutions businesses need to not just meet industry requirements and other challenges, but also thrive into the future with better efficiency and profitability. Learn more about how itelligence serves the Chemical Industry. As an industry solution principal at itelligence, Everett is responsible for demand generation, sales, and solution development activities in the chemical and life sciences industry. He has been with itelligence for 17 years and has worked in the SAP ecosystem for 21 years. Prior to working as an industry solution principal, Everett has held the itelligence positions of director of mid-market solutions, project manager, manager of industry solution development, and application management support manager. He is part of the NTT Data Global One team and has applicative industry experience in manufacturing, consumer products, automotive, professional services, and life sciences. Everett has a bachelor of science degree from Miami University (Ohio) with a concentration in marketing and statistics (1996) and a master of business administration from the University of Cincinnati with a dual specialization in finance and management (2005). Hobbies include running, biking, golf, and playing saxophone in a community band.